Subscribe to get deals from hundreds of merchants including the best of KLOOK! Klook offers $2 off your first booking (New Customers). Promotion is ongoing. Enter the promo code at the checkout to enjoy the offer.. Please always check with the merchant on the validity of the promotion before purchase. Klook offers 15% Off Pocket WiFi Rental when you use your Mastercard. The offer is valid until 30 June 2019. Enter the klook promo code at the checkout to get the offer. Please always check with the merchant on the validity of the promotion before purchase. Valid for first-time Klook App users only. Entitles the user to $10 off any Klook activity with a min. spend of $100, excluding Klook Gift Card, Universal Studios Japan Admission Tickets, Universal Studios Japan Express Passes and Japan Rail (JR) passes. Valid for Singapore only.. Please always check with the merchant on the validity of the promotion before purchase. This klook promotion is valid for redemption till 30 April 2019. Valid for all Klook activities with a minimum spend of S$200, excluding the Klook Gift Card, JR Pass, Universal Studios Japan Admission Tickets and Express Passes.. Please always check with the merchant on the validity of the promotion before purchase. This promotion is valid from 5 April 2019 to 31 March 2020.The promotion is available for bookings made via Klook's website and mobile app.Payment must be made with an DBS/POSB credit card to enjoy the discount.. Please always check with the merchant on the validity of the promotion before purchase. The promotion is valid until 25 Jan - 31 Dec 2019. Valid for one-time use only. Entitles the user to an additional 5% off any Klook activity, excluding Klook Gift Card, Universal Studios Japan Admission Tickets, Universal Studios Japan Express Passes and Japan Rail (JR) passes. Singapore users only.. Please always check with the merchant on the validity of the promotion before purchase. Klook offers Extra 5% OFF On Tour Seeing Activities when you Book With Your Mastercard. The offer is valid until 30 June 2019. Enter the promo code at the checkout to get the offer. Please always check with the merchant on the validity of the promotion before purchase. Additional 15% savings on pocket Wi-Fi rental with minimum 3 days rental. Valid on retail price at selected in-destination pick ups only. Klook offers 15% savings on pocket Wi-Fi rental with minimum 3 days rental.Promotion is valid till 30 June 2019. Valid for payment via Maybank Mastercard Cards only. Please always check with the merchant on the validity of the promotion before purchase. This Klook this promotion is valid for first time bookings made via Klook’s website and mobile app only. The promotion code is valid for redemption till 31 December 2019. excluding the Klook Christmas Gift Card, Japan Rail Passes, Universal Studios Japan Admission Tickets and Express Passes.. Please always check with the merchant on the validity of the promotion before purchase. Promotion is valid from 11 Mar 2019 - 30 April 2019 (while stocks last). Customers who book any whole JR Pass on Klook will receive this Japan Survival Kit via mail. 20 coupon code is valid for 3 months after redemption. Redemption Period will end on 31 December 2019.. Please always check with the merchant on the validity of the promotion before purchase. Promo code: KLKMCT. Promotion is valid till 30 June 2019. Valid for payment via Maybank Mastercard Cards only. The following transactions are not Eligible Transaction(s) for the purpose of the Offer: unauthorized transaction(s) and any transaction(s) that are cancelled, charge-back, return of goods and/or refund, or any other categories as KLOOK may determine at its sole discretion from time to time. The discounts mentioned in clause (vi) below will be cancelled or returned along with any cancelled or reversed transaction(s).. Applicable Mastercard Cards conducting Eligible Transaction(s) at KLOOK’s website and mobile app (“KLOOK’s Booking Platform”) during the Promotion Period shall be entitled to the following Offers:. Offer 1: Cardholders shall be entitled to an extra 5% off retail price on Tour and Sightseeing products as listed on KLOOK’s Booking Platform. KLOOK has the sole discretion to update the list of available Tour and Sightseeing products at any time. Cardholders must input the promotional code “KLKMCT” before payment during the booking process in order to be entitled to Offer 1.. Offer 2: Cardholders shall be entitled to an extra 15% off retail price on selected indestination pick up Pocket WiFi Rental (“Applicable Pocket WiFi Rental”) with the minimum of 3 days rental. Cardholders must input the promotional code “KLKMCW” before payment during the booking process in order to be entitled to Offer 2. The list of Applicable Pocket WiFi Rental is listed in Schedule 1 below. KLOOK has the sole discretion to update the list of Applicable Pocket WiFi Rental from time to time.. For Offer 1, each registered user of KLOOK's Booking Platform is entitled to purchase 6 tickets at maximum per month during the Promotion Period. For Offer 2, each registered user of KLOOK’s Booking Platform is entitled to 10 days of Applicable Pocket WiFi Rental at maximum per month during the Promotion Period.. The Offers are not transferable and cannot be used in conjunction with other promotions or discounts, coupons or memberships offers. The Offers cannot be transferred and exchanged for cash, credit limit or other discounts/ products/ services.. Cardholder is required to enter the relevant promotional code when conducting Eligible Transaction(s) to enjoy the Offers. Maybank, Mastercard and KLOOK will not accept any liability should a Cardholder fail to input the relevant promotional code when conducting Eligible Transaction(s) and that it result(s) in forfeiture of the Cardholder’s eligibility to the Offers.. KLOOK supports payments in different currencies and rates can be converted into different currencies for your convenience. Activity rates indicated in a certain currency are at a rate determined by KLOOK, estimated using market spot rates. Payment currency will be clearly indicated at time of payment. Some credit cards or debit cards may charge additional fees in handling certain currencies, please consult with your credit card or debit card issuer if additional charges will apply to your transaction.. All products and services are subject to availability while stocks last.. The prices of all products and services are designated by KLOOK and are subject to change from time to time without notice.. Any fraud and/or abuse of the Offers by any person (as determined by KLOOK at its sole discretion) will result in forfeiture of the person's eligibility to the Offers.. The products and services available under the Offers are provided solely by KLOOK upon terms and conditions as determined by KLOOK from time to time. Mastercard accepts no liability whatsoever in connection with the provision of such products and services. In the event of disputes arising from the products and services offered by KLOOK, the decision of KLOOK shall be final and binding.. Maybank TREATS General Terms and Conditions apply (PDF). Please always check with the merchant on the validity of the promotion before purchase. Valid only with first mobile app purchase. Enter promo code at checkout to enjoy discount. T&Cs apply. Please always check with the merchant on the validity of the promotion before purchase. Promotion is valid from now until 31st March, 2019.. Promotional code entitles user extra 5% off Tours & Sightseeing, 5% off Spa & Dining options available in Singapore, Bangkok, Hong Kong, Seoul, Tokyo and Osaka and Up to 5% off airport transfers (not valid for Japan Rail Pass).. Promotion is available for bookings made via Klook's website and mobile app.. Promo code is valid for one time use only.. Citibank Cardholders can enjoy savings up to a limit of 5 tickets per activity per destination.. This promotion is valid for Citi Cards issued from Australia, India, Indonesia, Malaysia, Philippines, Poland, Russia, Singapore, Thailand, UAE, Bahrain and Vietnam only.. Payment must be made with a Citibank credit/debit card to enjoy the discount.. This promotional code is not valid in conjunction with other promotions, vouchers and/or discounts, unless otherwise stated.. 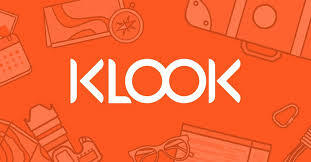 This promotional code must be applied at the payment page to enjoy the discount.. Klook reserves the right to suspend, cancel or modify the promotion and terms and condition at any time without prior notice.. Klook reserves the right to require payment of fees or charges for any Services offered by Klook. You shall pay all applicable fees or charges, as described on this Website in connection with such Services selected by you. Klook reserves the right to change its price list for fees or charges at any time, upon notice to you, which may be sent to you by email or posted on this Website. Your use (or continue to use) of the Services offered by Klook following such notification constitutes your acceptance of any new or revised fees or charges.. Please always check with the merchant on the validity of the promotion before purchase. Klook offers additional 5% off all klook activities with OCBC cards. The promotion is valid until 31 December 2018, valid for a maximum of four (4) times use per user only. Enter the promo code at the checkout to get the offer.. Please always check with the merchant on the validity of the promotion before purchase. Klook offers $5 off their first purchase with no minimum spending to new to Klook users. The promotion is available from 13 Nov 2017 to 30 Jun 2018. Enter the promo code at the checkout to get the offer. T&C apply.. Please always check with the merchant on the validity of the promotion before purchase. 75% Off Selected Activities with Visa Card Payment. Select an activity and your booking date.. Enter the promo code "KLKVISA17" at the check-out page.. Make payment with your Visa Card.. T&C apply.. . Please always check with the merchant on the validity of the promotion before purchase. Klook SG gives you more options for your travel, all for an affordable price with the various Klook promo code, Klook discount code and even Klook credit card promotions available for your choosing - plus the bonus of jumping the queue when you get to the venue! Whether you need to get a Klook JR pass, Klook USJ tickets or even Klook wifi rental for your trip, Klook's got you covered. We’ve all been in that situation where we know exactly where we want to go, but putting together the itinerary can be tricky. Booking flights and accommodations are honestly the easiest parts of planning a holiday, but searching for places to go to, sights to see, the must-eat-at restaurants or even experiencing life as a local, can be challenging as it is time-consuming to research and make plans to get the best out of your vacation. So if you are like me, you'll be happy (and relieved) that Klook has the perfect solution for us! Klook, a word play on Keep Looking, is just what everyone needs. With EVERYTHING you need in one place - top attractions, best activities and things to do, local experiences, must-eat food, must-go places, even rail or MTR passes, wifi rental and more - Klook has it and for a good price too especially with the various Klook promo code and discounts out there! So say goodbye to the good ol’ days where you need to have twenty tabs open while doing your research. With Klook, you can see all the important details you need easily. Whether you want to be a kid at heart again in Universal Studios Singapore or Tokyo Disneyland, want to catch the waves in Bali or go up The Peak via the iconic peak tram in Hong Kong, you can find your favourite travel experience or activity on Klook! Klook has a team of travel experts who is kept up to date constantly on the latest and best experiences out there so they can connect travellers with what they need. So expect Klook's website and app to be updated with interesting and fun things to do and activities to experience. No matter where you are going, or simply just being a local tourist in your own country, there's surely something you can get for some great fun. Klook is a community of over 300,000 travellers who trust them for all their travel experiences and needs. Plus, you can be assured that you’re getting the real deal with all the reliable reviews from real people and users based from their actual experience. We all want to save on our bookings and tickets as much as possible - every little bit can go a long way. Klook makes this possible by establishing partnerships with top travel operators and tourist attractions in different countries. This ensures that you get the best quality for an affordable price and most of the time, even cheaper than gate price. Best of all, to prove that Klook SG have the best and cheapest deals out there, they will do a refund for the price difference when you find a better deal somewhere else. Klook website has a user-friendly interface, making it easy to find what you need and to make your booking. So in just a few clicks, you’re on your way to completing your itinerary for your next vacation. With all the phishing and scams for strangers to get your credit card details online, it’s totally understandable if you get paranoid paying with your card over the internet. But with Klook, there’s no need to be worried about anything because they have strict security measures on their website to ensure that you and your information are safe when booking online. Booking with Klook can be done in a breeze. Just follow the steps below and before you know it, you’re done planning for your vacation. 1) Select your destination by typing the city in the search bar. If you’re not yet sure where you want to go, you can head to their top destination suggestions so you’ll have an idea where you can fly to next. 2) Once you’ve chosen your destination, you will see an overview of itinerary inspiration. This is just to give you a rough idea of what to look for when booking. To make your search even easier, Klook has categorised their search results to five different categories, which are then broken down further to more sub-categories. 3) Booking with Klook is easy. It’s choosing which one to book for that’s the hardest because of all the options you can choose from. But once you’ve decided which one to go for, click it and it will bring up all the information you need. This includes pricing, highlights, and most recent ratings and reviews. They’ve also included a section on what to expect on your trip and everything that’s inclusive in your booking, plus instructions on how to use your ticket. 4) Check availability and select the number of people you need to book for. Once you’ve finalised your selection and happy with the package, click add to cart. This will let you choose other activities you may want to book as well. Once you’re happy with your bookings, check out your cart shopping cart and proceed to payment section. 5) Type in your information and select between credit card or Paypal as method of payment, and you’re good to go. Most of the bookings are instant confirmation, so you will receive confirmation and a copy of your e-ticket in your email minutes after making payment. Klook gives you the opportunity to discover unique local experiences in each country at an affordtable price. Since your booking’s done in advance, you can just go straight to the express lane and show them a print out or digital copy of your ticket via the Klook app, and you’re good to go. You’ll also earn points with every booking done on Klook. So every time you’re heading somewhere for a vacation, make sure that you book via Klook to earn more points and get discounts on your future travels. Even if you are staying put in Singapore and playing tourist, experience the best with Klook SG on attractive prices at Universal Studios Singapore, Singapore Zoo and more. Don't forget to look for the latest Klook promo code, Klook discount code and even Klook credit card promotions right here on Cardable SG before you make your purchase - be it a Klook JR pass, Klook USJ tickets or even Klook wifi rental for your trip and so much more! We bring you the best credit card promotions, discounts, and coupon codes to help you save.